Make sure teens can’t access alcohol without your knowledge: Unmonitored alcohol, including alcohol stored in a cabinet, basement or garage, can be a temptation. When in doubt, lock it up. Exercise your influence: Data shows that teens continue to care what their parents think, even while they are in high school and college. Let your teen know that you don’t want them to drink and that most teens in fact don’t drink. I don’t feel like it. Do you have any soda? Are you talking to me? Forget it. You’re pressuring me. I said no. 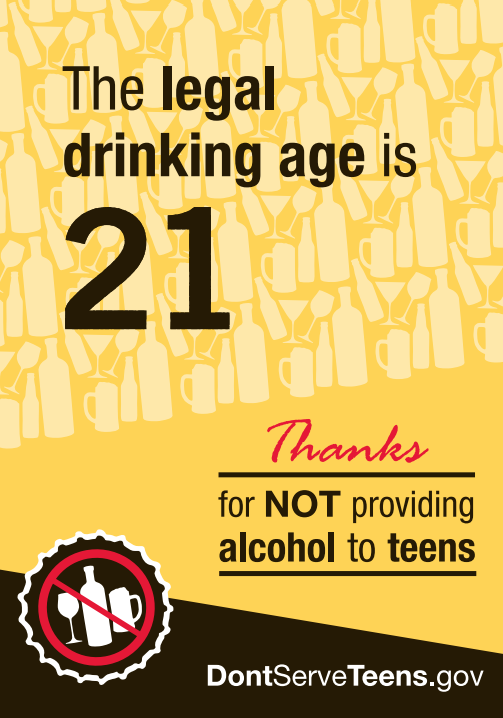 Let your friends, neighbors, and family members know that the minimum drinking age is a policy that protects teens, and that you don’t want your teen to drink. Take action before a situation arises: Start talking to the parents of your teen’s friends early — for example, when your kid is in 6th grade. Tell them about the risks of teen drinking and let them know that you don’t want anyone to allow your teen to drink alcohol. Talk to adults who host teen parties. Let them know that the overwhelming majority of parents support the legal drinking age and agree that it is not okay to serve alcohol to someone else’s teen — and it’s not okay to turn a blind eye to teens’ alcohol consumption. Talk to your school board, school principals, teachers, and coaches. Let them know that it is unsafe, illegal, and irresponsible to condone teen drinking. Ask them to discourage this activity. Talk to management at restaurants, town halls, and other venues where teen parties are held. Let them know that parents in your community do not want teens to have access to alcohol. 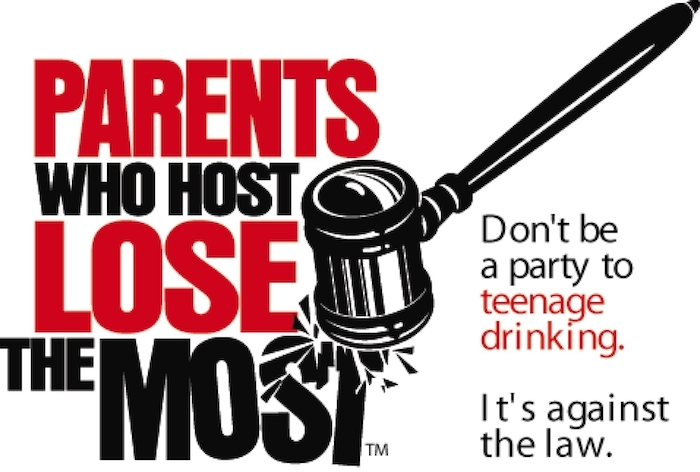 Let local law enforcement know that you encourage active policing of noisy teen parties that may signal alcohol use. Let them know that parents in your community do not want teens to have access to alcohol. Tell local alcohol retailers that you want them to check ID before selling alcohol. Limiting alcohol sales to legal purchasers is an important goal and worth the time it takes.